In 2015 and 2016 some 16,000 labourers planted more than 900,000 fast-growing eucalyptus trees at regular, geometric intervals in Heroshah – and the titanic task is just a fraction of the effort across the province of Khyber Pakhtunkhwa. The new trees will reinvigorate the area’s scenic beauty, act as a control against erosion, help mitigate climate change, decrease the chances of floods and increase the chances of precipitation, says Manan, who oversaw the re-vegetation of Heroshah. Residents also see them as an economic boost – which, officials hope, will deter them from cutting the new growth down to use as firewood in a region where electricity can be sparse. 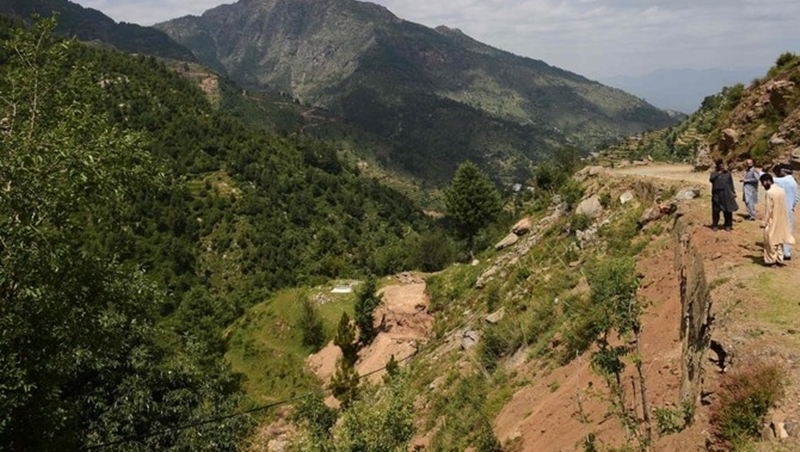 The Heroshah and Swat plantations are part of the “Billion Tree Tsunami”, a provincial government program that has seen a total of 300 million trees of 42 different species planted across Khyber Pakhtunkhwa. A further 150mn plants were given to landowners, while strict forest regeneration measures have allowed the regrowth of 730mn trees – roughly 1.2bn new trees in total, the program’s management says. Kamran Hussain, a manager of the Pakistani branch of the World Wildlife Fund, who conducted an independent audit of the project, says their figures showed slightly less – but still above target at 1.06bn trees. The program has been praised by the head of the Swiss-based International Union for Conservation of Nature (IUCN), a green NGO, which called it a “true conservation success story”. More than 60% of the forests lining Sindh’s riverbanks have disappeared in the last 60 years, mainly due to river depletion and massive logging during the 1980s, says Riaz Ahmed Wagan, of the provincial forest department. The Billion Tree Tsunami, which cost the Khyber Pakhtunkhwa government $169 million (B5.59 billion), started in November 2014. Officials say they are still implementing maintenance safeguards such as fire protection, with the project due to be completed in June 2020. In early 2017, the federal government announced its own Green Pakistan Project, which aims to plant 100mn trees in five years across the country. Khan has vowed to make the environment an election issue, and to plant a total of 10bn trees across the country. “Every child in Pakistan should be aware of the environmental issue which, until now, has been a non-issue,” he said. “It would be a first,” he said.